Long Beach, CA - September 23, 2018 – Universal Avionics (UA) announces the first SBAS-Flight Management System (FMS) upgrade for the ATR 42-500 type. The operator, First Air, also performed the engineering design, certification, and installation for their fleet renewal. Six First Air ATR 42-500 aircraft have each received dual UA UNS-1Fw SBAS-FMSs and a Terrain Awareness Warning System (TAWS). 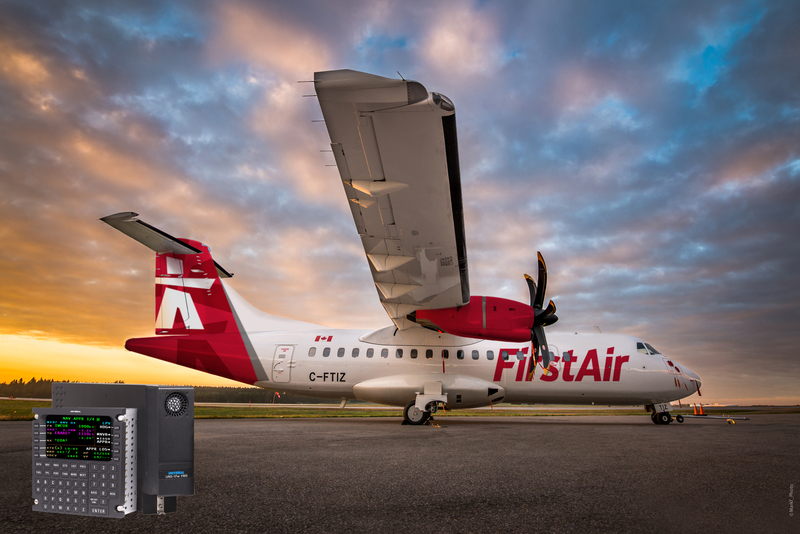 First Air's ATR 42-500 aircraft operate in Northern Canada, where the area relies on air services to support economic development and to connect its remote air-access-only communities with one-another and the world. Weather is often challenging and the ability to fly RNAV (GNSS) LPV LOS approach procedures is essential. The new UA SBAS-FMSs replace obsolete factory non-SBAS FMSs, and give First Air the ability to fly these essential approaches along with procedures with RF leg segments. "We are very lucky to have an airline operator with such a strong avionics engineering capability, able to design the interfaces for an integration like this internally," said Norm Matheis, UA's Canada Senior Regional Sales Manager. "Our SBAS-Flight Management Systems have proven to be absolutely essential for ATR regional turboprop operations in Canada's north and we are grateful First Air chose us again as they introduced the ATR 42-500 type," he added.